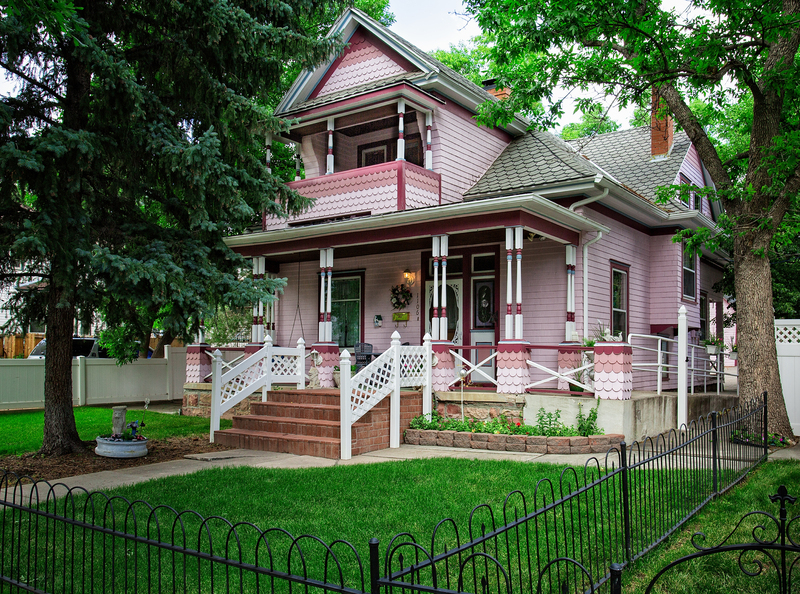 1898 Rose Victorian provides close by comfort to the Main House with the Independence and Pikes Peak Suites, both large and spacious. 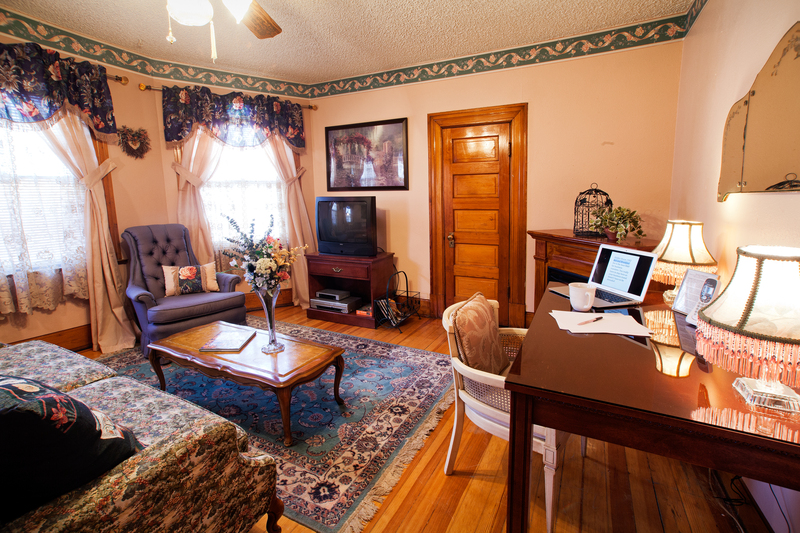 Each of the two private and separate suites boast original hardwood floors and woodwork and Victorian charm with rooms featuring color/flat-screen cable TV/DVD refrigerator, hair dryer, iron/ironing board, telephone, gas/electric fireplace (winter only) and air conditioning (summer). 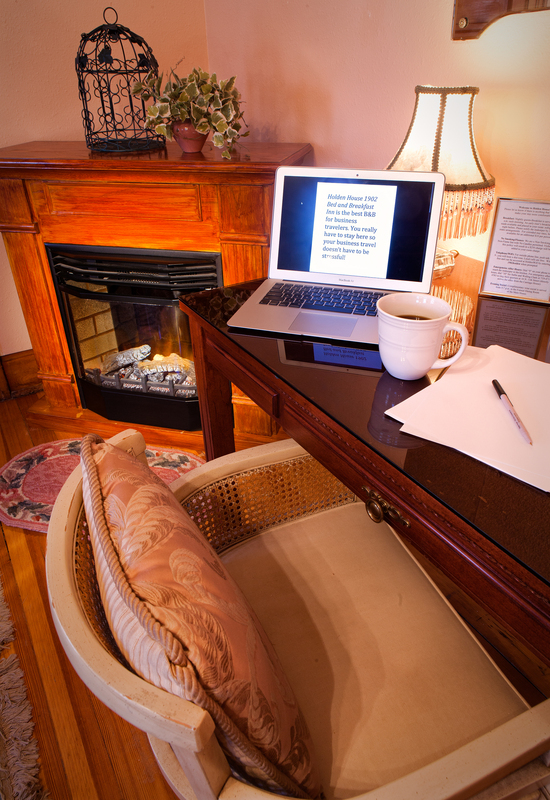 Special…accommodations welcome you the moment you step inside the foyer of our adjacent Rose Victorian home, where you are surrounded with historic charm. 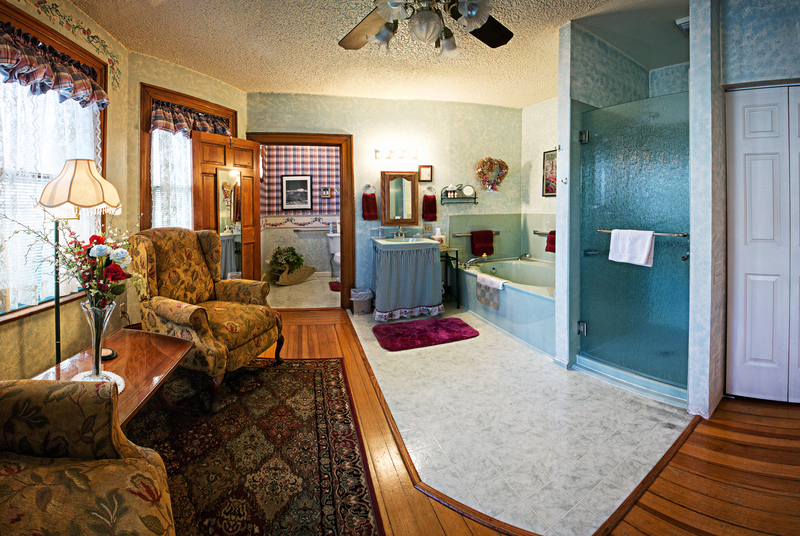 Named after the Independence mining camp near Cripple Creek, this large suite is decorated in soft colors with burgundy accents. A 1st floor two-room suite, it boasts original pocket doors and woodwork, hardwood floors, a bedroom with four-poster king-size bed and original columned tile fireplace with beveled mirror and updated with easy remote control gas operation, a private sitting room with bay window and wing-back recliners, and a spacious bath with a marble Roman “tub for two” and separate marble shower. 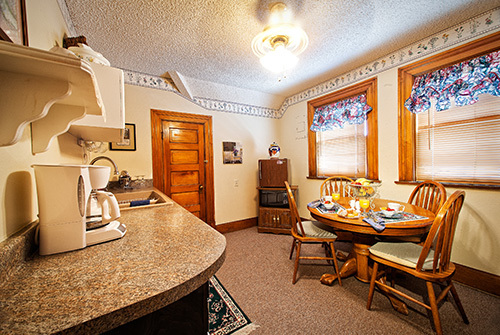 The Independence Suite also includes a refrigerator and coffee/tea service, in-room color/cable TV with DVD, iron/ironing board, telephone, hair dryer, soft Holden House signature robes and private label amenities. 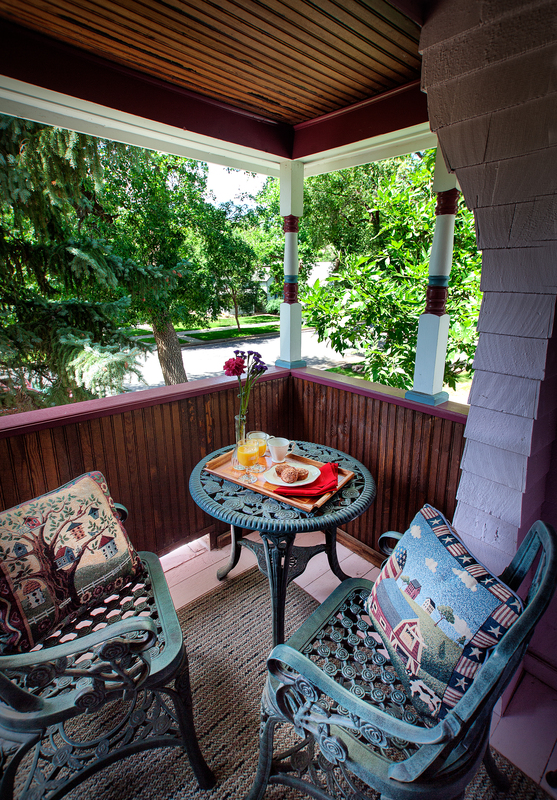 Consider a relaxing afternoon on the porch swing located on the wide verandah and enjoy gourmet breakfast delights served in the Main House each morning. 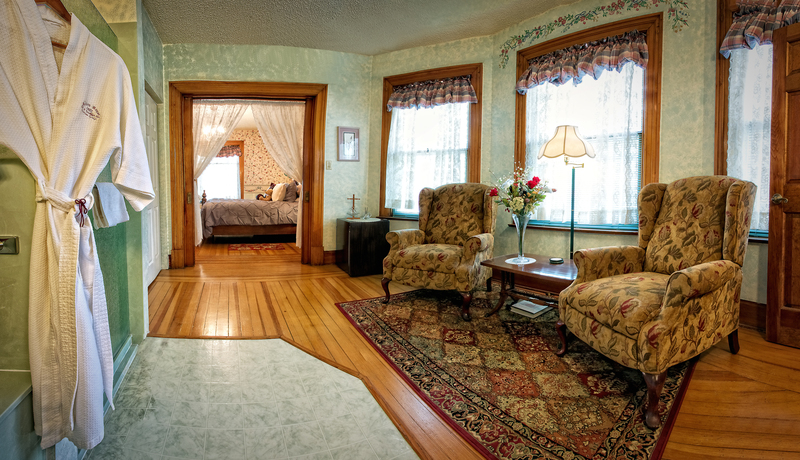 This suite has the distinction of receiving the “Waverly Room of the Year” award by Country Inns Bed & Breakfast magazine. 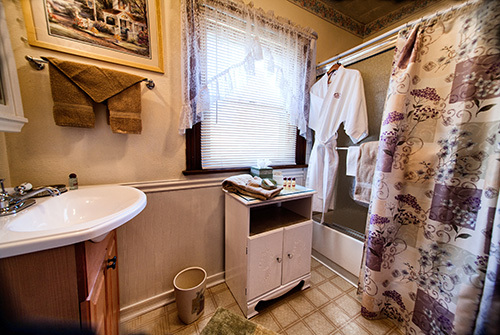 This luxurious room also provides disability access for those needing special accommodations. 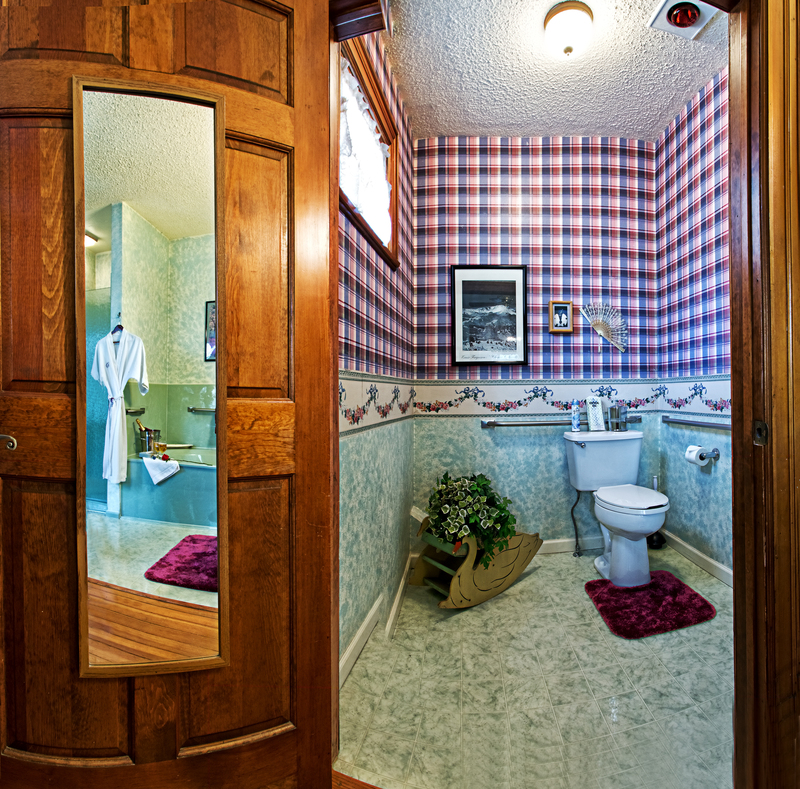 Ask about our “breakfast en suite” Romance Package. Romance Package additional $15 fee plus room rate per day. 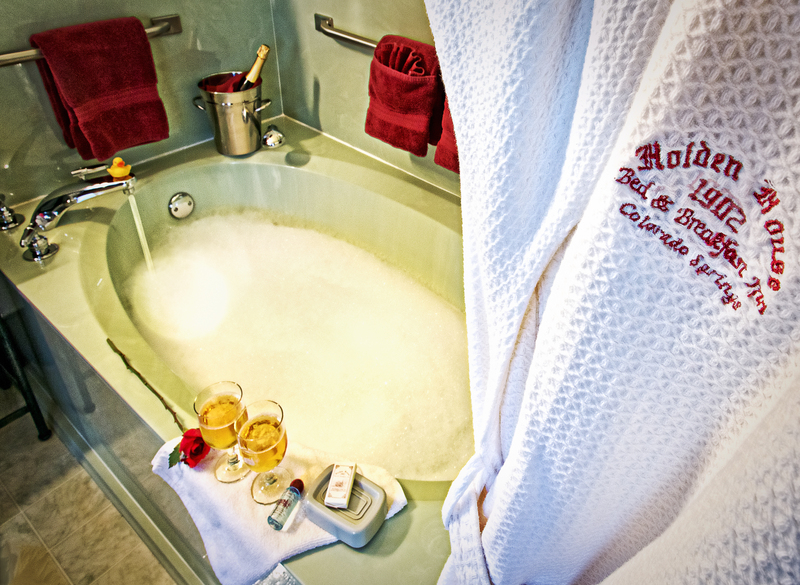 Wonderful…areas to unwind are featured in this premiere suite located on the 2nd floor in our adjacent Rose Victorian. Named after our own 14,110 foot high Pikes Peak, known as America’s Mountain, this suite offers over 1,000 square feet of space to relax with original hardwood floors, a bedroom with a king-size mission oak bed and private balcony, kitchenette with refrigerator, sink, K-Cup coffee maker, microwave and oak dining table, its own separate living room/parlor/business work area with electric fireplace and a private bath with standard tub/shower. 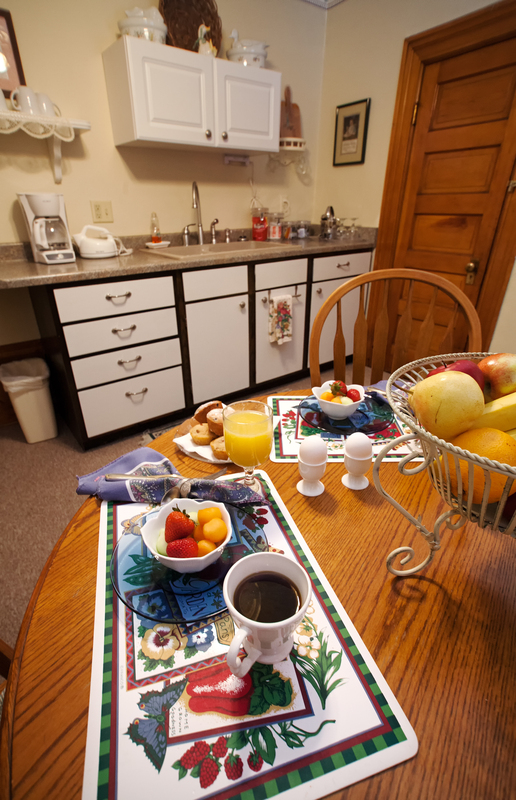 The Pikes Peak Suite also includes private label amenities, soft Holden House signature robes, hair dryer, iron & ironing board, color/cable TV, DVD, telephone and free Wi-Fi are included. 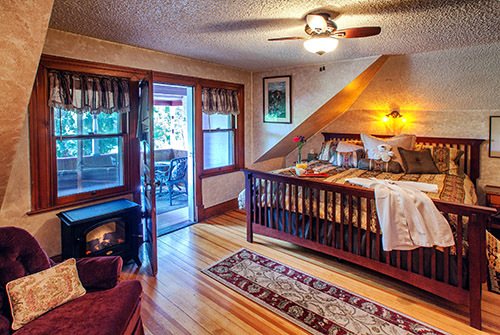 This suite offers mountain views of Pikes Peak and can be rented nightly at $195.00 per night plus tax for two with breakfast included. Inquire about extended stay rates in off-season. Afternoon wine social is included in all rates, and special cancellation and deposit policies will apply to extended stays. Please inquire at time of booking. 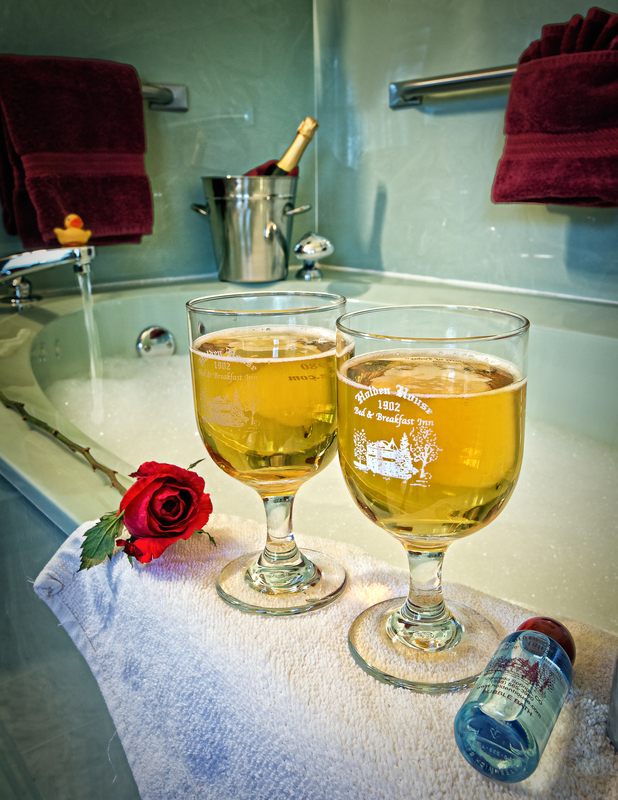 Ask about our “breakfast en suite” Romance Package. 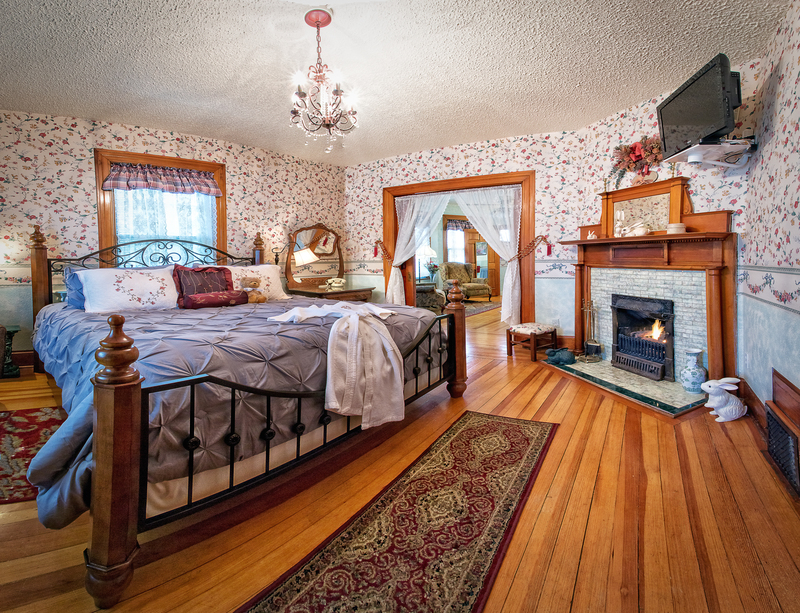 Romance Package additional $15 fee plus room rate per day.